Converse the legendary sneaker has hooked up with AC/DC and Metallica to produce some rockin' kicks for their Fall 2009 collection. 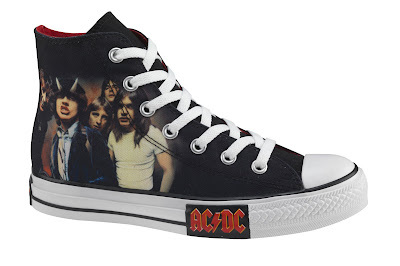 The Chuck Taylor All Star AC/DC editions will be available this month in stores and from Converse. The Metallica editions will be available in July. There are four AC/DC designs and two Metallica designs. 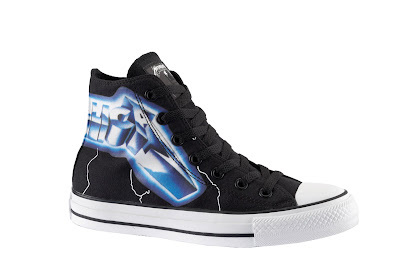 Everyone has rocked a pair of Chuck Taylor's at one point or another ... okay, maybe not everybody, but everybody I know!